Here's a simple diagram of a fish that the kids can label and color. It's a little follow-up to yesterday's blog post with the fish word search puzzle and fish craft activities. It's a good way to review some of the vocabulary that was on the fish word search. This diagram is now at my website. Just click on the picture above to grab your copy. If you missed yesterday's blog post, you can read it by clicking the link below. As the weather gets warmer it's fun to incorporate a fun fish or ocean theme into the kids' learning. Here's a little science word search freebie about fish. It includes vocabulary for the parts of a fish as well as a small list of different types of fish. Just click on the picture below to go to my website to download this free item plus lots of other free science word search puzzles. If you'd also like to do some fun fish crafts with the kids, here's a few that use inexpensive craft materials to get you started. Just click on the picture below to get directions for the different crafts. If you're working with very young kids, you might like the following math product which is for sale in my TpT store. It's called Ocean Life Counting Puzzles. Just click on the picture below to read more about this product. 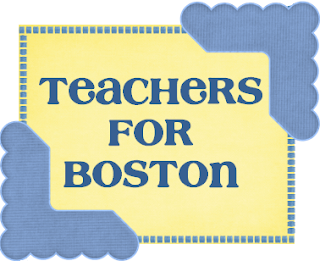 ﻿﻿Michaela at The Center Based Classroom has put together a fundraiser to raise money for the victims of last week's bombing at the Boston Marathan. Michaela asked sellers at the site Teachers Pay Teachers if they would like to donate products to the fundraiser from their TpT stores. She received an overwhelming response. You can see the pictures below of all the teaching products that were donated. There are 2 bundles. The 1st bundle is for Grades K-2 and is valued at $150. The 2nd bundle is for Grades 3-6 and is valued at $170. You can purchase either bundle for $20 and the ENTIRE DONATION goes to the ONE FUND to help victims of the Boston Marathon bombing. To learn more about this wonderful fundraiser and/or to purchase a bundle in which the entire donation goes to the One Fund, click on the top picture above to go to Michaela's blog. Here are 2 fun word search puzzles to help the kids develop and reinforce their science vocabulary as they learn about plants. Both of these puzzles are free and can be found on my website. Just click on the picture below to go to my page with free science printables. Click on the picture below if you missed yesterday's post with lots of Plant Ideas, Activities, and Resources. Spring is a great time to teach kids about plants. I have gathered up some of my past blog posts on teaching kids about plants to give you some ideas, activities, and resources for teaching about plants. To access any (of all) of these posts just click on the links below. Science EXPERIMENT - Do plants need the Sun? I have a lot more posts about plants on this blog but the above list should be enough to get you started or to find some ideas to supplement your own ideas, activities, and resources. Do your kids need some practice with compound words? Here's a free, fun (and yummy) way to practice. My Cupcake Compound Words Matching Activity has 12 pairs of matching cards plus other goodies in the file. You can download the file from 2 different locations (my TpT store and my website). Use either of the links below to grab this file.